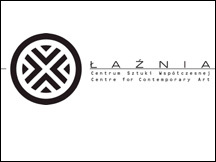 Laznia Centre for Contemporary Art has existed for just eight years, but it is the most well recognised exhibition institution in the Tri-city. It does not have any competitor in the whole of Northern Poland. The centre is situated in the historical 1905 Neo-Romanesque building that was formerly a municipal bathing house, in the Lower City - that is where the name comes from. Laznia is a non-profit institution supported and owned by the City of Gdansk. Our output includes a number of exhibitions of contemporary art from Poland and all around the world, as well as film showings, meetings and discussion panels and experimental concerts. We are dedicated to presenting and promoting newest art and culture. Since we care much about good contacts with our public, we have developed educational projects which accompany our exhibitions. Through these projects, we share information on art and its creators, organise meetings with artists, and offer workshops and events to which our public is invited for active participation. The educational activity takes form of workshops for adults and children as well as community based-projects. Laznia CCA is also the organiser of the innovative project known as the Outdoor Gallery of the City Gdansk, which is also part of a wider project aimed at revitalising the Lower City district - an incredibly interesting area, full of unique historical monuments, but very isolated from the city centre and very rundown. The first projects to be carried out - the result of the first leg of the competition - will appear in 2006-2007. It is envisaged that the Gallery's collection will be created in stages, and the realised works of art will result from regularly announced, closed, international competitions.